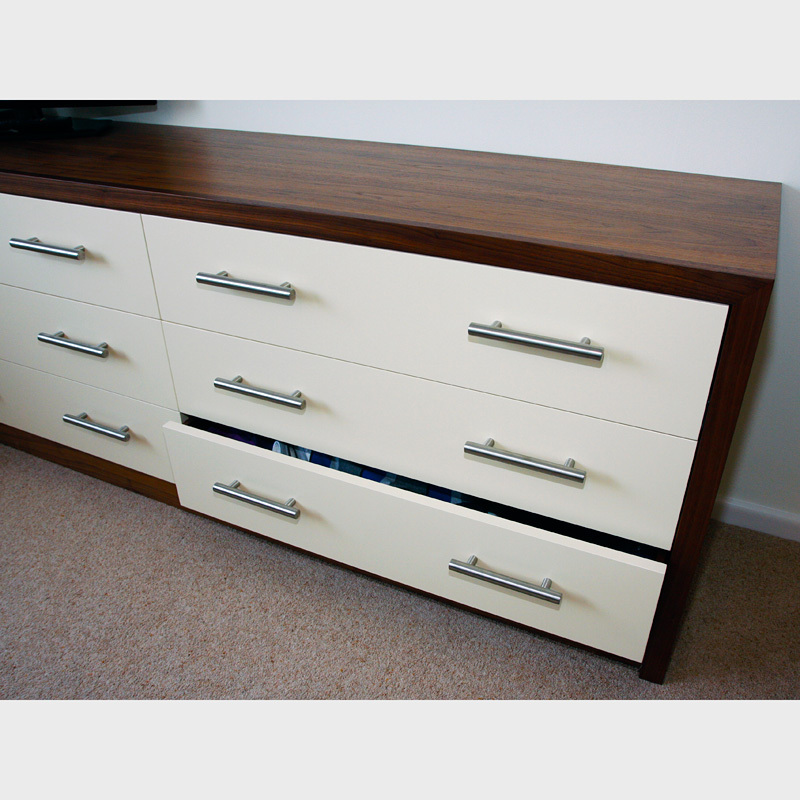 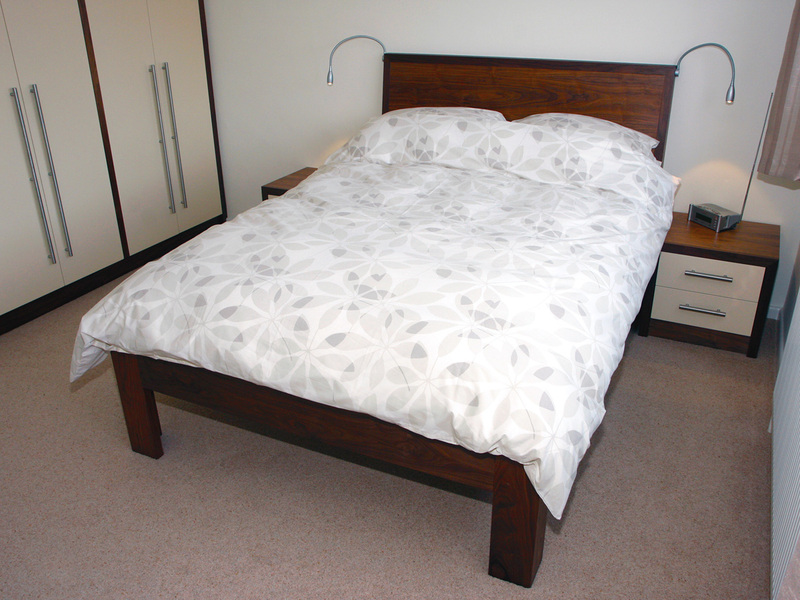 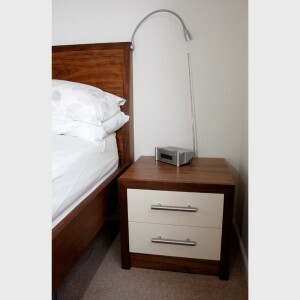 Commission: Bed, fitted wardrobes, bedside tables and chest of drawers. 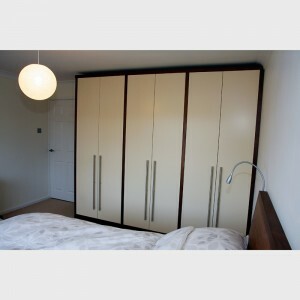 Description: This commission was a case of having a bare bedroom as a blank canvas and us being asked to design and fit bedroom furniture for it, which we did – we made the bed, wardrobes, bedside tables and chest of drawers, which all tie in with each other perfectly. 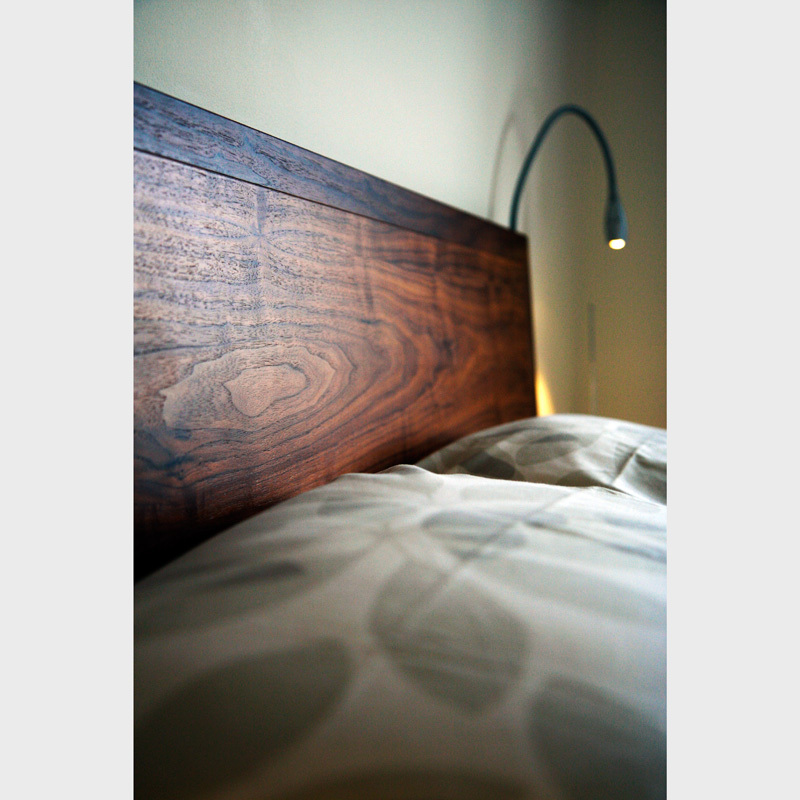 Materials/details: Walnut and painted Cream lacquer finish. 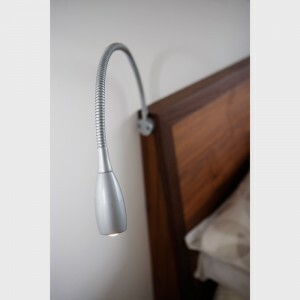 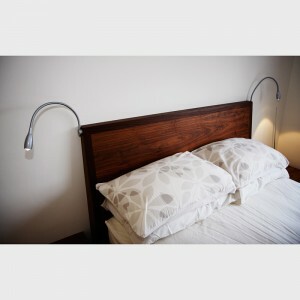 Integrated lights on bed. 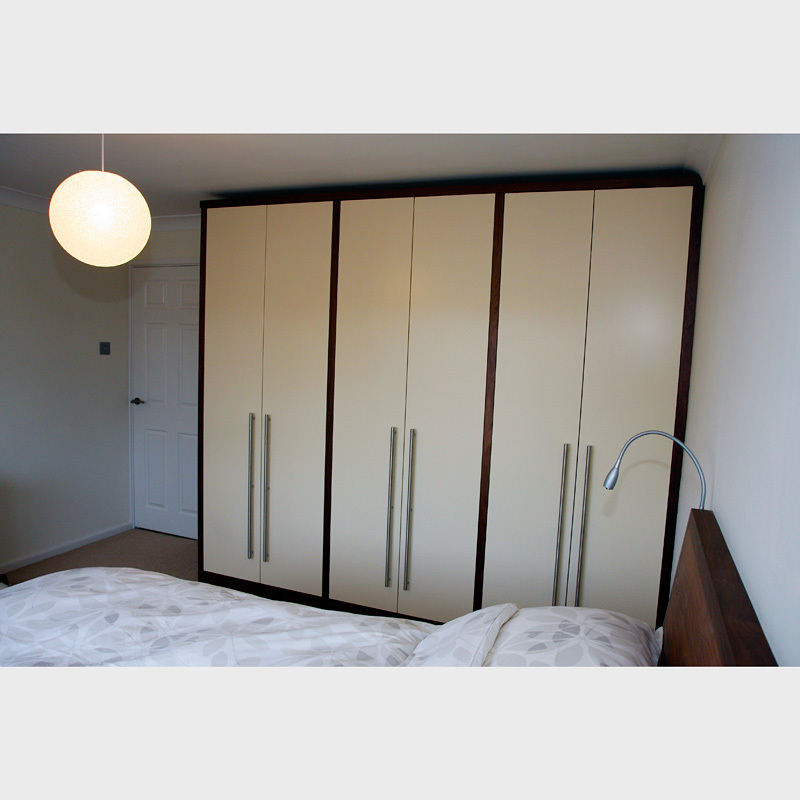 Mirror on inside of wardrobe door. 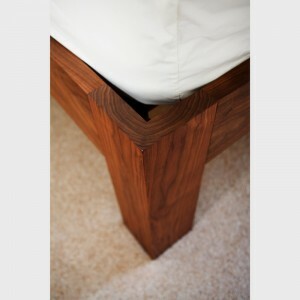 Power points fitted to underside of bed frame out of sight.